British journalist and media professor Brian Winston coined the term ‘tradition of the victim’, which accurately describes the campaign’s viral movie. It is a documentary technique which exploits its subjects, showing them as helpless, passive and awaiting salvation from the West. 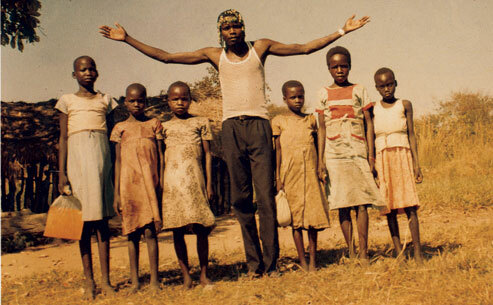 Writing about the movie, an American academic based in Uganda lamented “the warmongering, the narcissism, the commercialisation, the reductive and one-sided story they tell, their portrayal of Africans as helpless children in need of rescue by white Americans.” Indeed, when it was shown in northern Uganda – where the LRA had been absent for 6 years – it provoked an angry response from locals who felt belittled, commercialised and outright baffled by the drive to make their once tormentor ‘famous’. 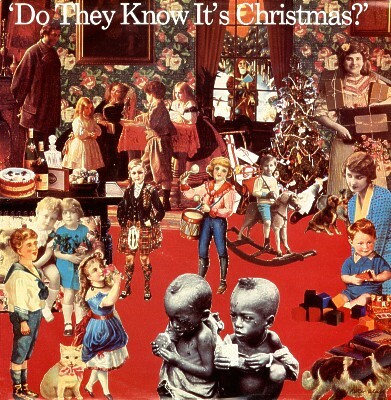 Just as the lyrics to the charity Christmas single in the 80s had promoted bleak, “patronising, false and out of date” ideas of Africa, the Invisible Children video perpetuated the fallacy of the ‘White Man’s Burden’. Just as the song decried the lack of snow, rivers and festive celebration in East Africa, the Kony campaign continued the ‘single story‘ of the ‘Dark Continent’. The emotive, pseudo-documentary became popular as it too presented a straightforward Disney-style heroes-and-villains tale. It left viewers with a video-game-esque happy sense of empowerment inviting them to champion intervention, share, tweet and buy products to stop brutality in a far away land. According to Invisible Children’s 2011 financial report, 31% of donations go to their projects in East and Central Africa. They claim it is higher, but this is because they uniquely regard ‘film-making’ as a project rather than fund-raising expense. In contrast, most reputable NGOs – such as UNICEF and the Red Cross – direct more than 90% of donations to their programmes, as per the sector norm. Anyone purchasing KONY 2012 paraphernalia is chiefly contributing to generous executive pay and bonuses for its directors. 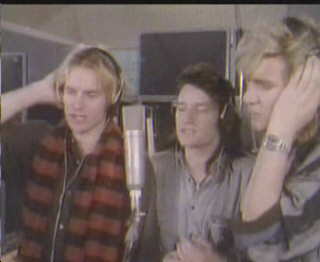 Although the Band Aid artists saw their own record sales soar, the distasteful peddling of merchandise in aid of a questionable charity has more in common with another campaign conceived 20 years later. Established in 2006, Bono’s “BUY (RED)” movement encourages increased consumption in order that a slither of proceeds may go to aid the poor and sick. 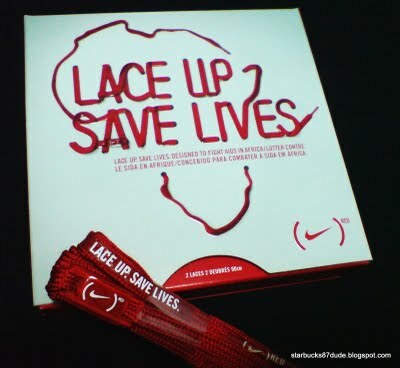 The promotion in support of AIDS, TB and malaria initiatives has seen counter campaigns to “BUY (LESS) CRAP” whilst participating companies have been criticised for spending disproportionate amounts on advertising their generosity. Good intentions do not equal good results. 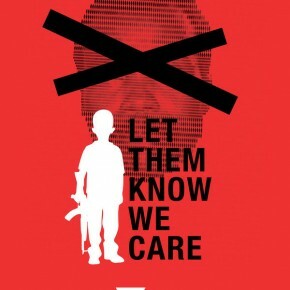 Despite the easy-access of information critical towards Invisible Children and its finances, the campaign filled social networking feeds and blogs worldwide. The slick video was targeted at teens and prompted an outpouring of empathy and concern – dubious methods aside; it seemed that young people were suddenly engaged in something meaningful. Who would have predicted that the world’s most viral video would be on a subject such as this? But as charities and NGOs the world over study and no doubt attempt to replicate the phenomenon, it is important to remember past lessons of how good intentions do not always equal good results. Awareness can lead to action, but a more informed understanding and a less gung-ho bearing are essential. For those who will sustain an interest in Uganda and its neighbours beyond this month, there is more to learn: of the shortcomings with the Ugandan Peace and Recovery Development Plan, of the corrupt and sometimes bloody rule of President Museveni and his rivalry with Congo’s Kabila, of nodding disease sweeping the region, of violence against homosexuals and the country’s high rates of homelessness and child prostitution. 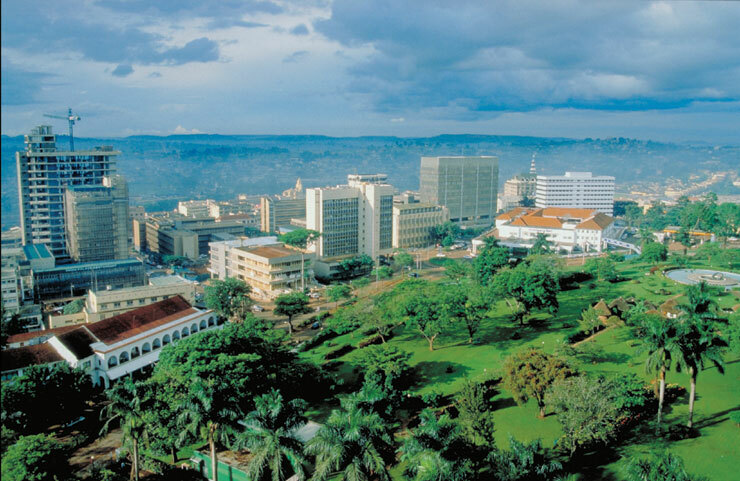 There is also much to be optimistic about in a stunningly beautiful land once described as the ‘Pearl of Africa’. More can be said for Uganda’s progress in reducing HIV/AIDs and for its post-war community-based justice programmes. What more, if anything, can well-meaning foreigners practically do to assist? If those who recognise the shortcomings in the Kony campaign join a counter-bandwagon and do not engage with young people positively, they too will be seen as self-righteous. White, western teenagers are allowed to have an opinion and take an interest in social justice – it is condescending to cry ‘neo-colonialism’ the moment they speak up. There are constructive ways forward which are effective and respect the self-sufficiency of victims past and present… Supporters can decline bracelets and merchandise in the name of ‘conspicuous compassion’ and instead give to trusted NGOs and indigenous grassroots charities. Rather than spamming Justin Bieber, as Invisible Children suggests, activists can inundate politicians and MPs in the region and encourage their own leaders to apply diplomatic pressure. Rejecting war-mongering and top-down foreign aid in favour of empowering individuals and communities through microcredit will yield better results than fly-postering cities. Most of all, understanding and rallying against the debt, the dumping and the unfair trade rules our own countries impose on African nations will have the deepest impact. Our time, energy, money and influence will be more powerful if united against the suffering our own governments and the WTO/IMF are inflicting – right now – upon numerous war-torn and developing states. And for those really wishing to hear the voices and directly improve the plight of ordinary people, Uganda has a delicate tourism industry in need of support. There is much in terms of natural beauty and warm welcomes on offer for those ready to look beyond the headlines and Single Story. It is true that the world is now a smaller place and social media is a useful tool – but, as with the Arab Spring, such technologies and awareness are only a stepping stone or tool to spark real change. The deplorable LRA and voices of the downtrodden are self-evident and strong enough without costly, bizarre dance videos, an emotive score, needless exaggeration and Evangelical ‘Great Men’ thrown in.